We are one of the leading manufacturers, suppliers and Exporter of a wide range of optimum quality DIN 1804 Brass Slotted Round Nut in the industry. By using advanced machinery, our professionals manufacture these lock nuts from best quality brass in compliance with the international quality standards. 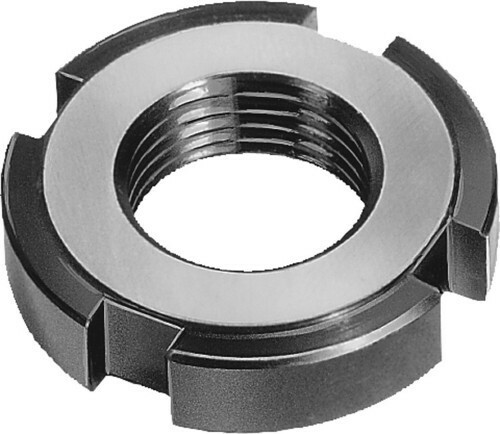 Owing to their accurate dimensions and compact design, these nuts are highly demanded. Established in the year 2002, we Shalibhadra International, are manufacturer, exporter and supplier of Brass Auto Parts and Brass Fasteners. Some of our offered products are Brass Auto Parts, Brass Building Hardware, Brass Electrical Components, Brass Fasteners, Brass Inserts, Brass Precision Components, Brass Anchor and Brass Machine Part. Designed in line with international quality standards, our offered range finds a wide application in automobile industry. These are widely acknowledged by our clients due to the salient attributes like precision design, easy installation, rugged construction, high strength, less maintenance and durability. We provide our range in varied specifications to fulfill the demands of automobile industry and Plastic Industries. We exporting our products North America, South America, Southeast Asia etc.